Help your child develop a strong sense of self by following these stories that can equip children with the powerful mantra: We Are Masters of Our Own Destiny. 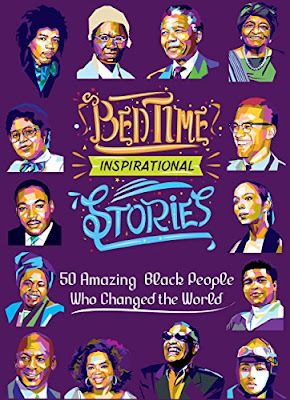 Bedtime Inspirational Stories… celebrates the achievements of the amazing black women and men who have paved the way for future generations. Unfortunately, in today’s world, it can be a challenge to raise positive kids, as they are constantly bombarded with negative messages. More than ever, parents and teachers need to create a positive atmosphere for our children in order to help them believe in themselves.